ADMINISTRATORS juggling budgets in cash-strapped public hospitals and senior surgeons who feel underappreciated and underpaid can provide the ideal circumstance for an unhealthy alliance between the two. The “self-pay” patient system brings these normally combative groups together as it is one of the few “win–win” arrangements between them, yet it is something most would rather not mention publicly. Most Medicare patients are aware that, when they are admitted to a public hospital, they do not have the choice of doctor but will not have to wear the cost of treatment. If they do want to exercise the right to choose their own doctor but don’t have health insurance, they can become private self-pay patients, but this will come at a price. A typical facility fee levied by public hospitals in NSW is $660 to become a private patient for 2 days. Additional costs include out-of-pocket fees for their surgeon and the anaesthetist, so it can end up being a costly exercise. Hospitals are very happy to see patients exercise this right as it means additional funds that they would otherwise not have for their budgets. Government funding is essentially fixed, so these funds are a bonus. Hospitals have indirectly encouraged this process by issuing memos to doctors reminding them that this service is available and encouraging doctors, particularly surgical and procedural specialists, to let their patients know about it. So why would a surgeon want to encourage patients to go into public hospitals as private self-pay patients? A visiting medical officer working in the public hospital system or a staff specialist earns about $120–$180 an hour, which really does not cover the background costs of running an office in the private sector. Using my specialty of urology as an example, if a public patient undergoes a radical prostatectomy, the surgeon might earn about $600 at these hourly rates. However, if the patient comes in as a self-pay patient, the minimum a surgeon would earn would be $1396, which is 75% of the schedule fee paid by Medicare (as of the November 2010 MBS published rates). More often than not, the fee charged will be much higher. From a financial viewpoint, it seems to be a no-brainer for the surgeon. It is when the self-pay system is abused that it becomes a problem. Surgeons have enormous power in the doctor–patient relationship. The suggestion of potential harm or inadequate outcomes if the procedure is performed by a registrar if the patient remains “public” can be a potent influence on a patient’s decision to go self-pay. Administrators, naturally, just love seeing more revenue come through as each patient pays their $660 that the system otherwise would not receive. Many patients in the public hospital system are successfully convinced to become self-pay patients. However, we would be totally naive to think there would be ideal counselling of each patient about the benefits and costs of self-pay. But it is not just the patients who pay the price. There is also the loss of surgical experience for training registrars. While many will complain in confidence, none have the courage to speak out against the practice. Sadly, the abuse of the self-pay system is widespread in the NSW public hospital system. We may be aware that it is happening, but nothing will change unless patients complain, and this is hardly likely. Surgeons who aren’t happy with this arrangement appear unwilling to come forward in fear of political retribution, professional isolation and stymied career progression. If we were to abolish self-pay, would we risk throwing the baby out with the bathwater? We have to balance the risks to our professional standing, our inability to regulate this behaviour and the financial risks to those who can least afford it against the risk of removing patient choice. I would like to see this practice abolished, but if we cannot speak out about this when it involves unethical behaviour, the balance is heavily tilted against ever eradicating the self-pay system in our public hospitals. 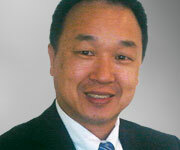 Associate Professor Henry Woo is a urological surgeon and associate professor of surgery at the University of Sydney. Henry Woo is right. Permitting fee-for-service payments to salaried doctors in government-operated hospitals highlights the bizarre and illogical valuation and rationing (or lack thereof) of services provided in the two health systems. The system is hopelessly riddled with ethical traps and opportunities for bureaucratic tweaks and cost-shifting fiddles. Deciding on a single system for valuing and funding healthcare in Australia is clearly too big a nettle for the fearless politicians to grasp. For plaintiff lawyers it is also a heaven sent system for creating a litigious customer when things go wrong. The article deals exclusively with surgical patients. Can anyone explain to me (an experienced physician) what benefit there is to a medical patient going private in a public hospital, unless there is a surgical episode? They essentially get the same treatment and access to me as the public patients, yet they may get a wad of bills and paperwork to deal with after discharge. Sadly this is not an uncommon practice. It really iritates me when I see a list of eye procedures on a public list and 80% are “private”. The real losers are the trainees. The Garling report re-emphasised the importance of adequate supervision both for patient safety and trainee education, so if this happens then the patient’s outcome should be the same as if the operation is performed by a more experienced surgeon. As the consultant surgeon carries the can for any complications, it is in her/his interest to provide appropriate supervision. If this does not ocur then we need a system check/process to ensure it does. Similarly we need an audit of the public/private mix on public hospital surgical lists so that this “coersion”, or whatever it is, can be openly examined. Hospitals and surgeons have too much to lose by performing an audit on public/private mix as suggested by craw. We all know that the results of such would not be a happy one. The only way an audit will happen if it is under a directive of the ICAC. Perhaps the next step if we cannot regulate the practice as a profession? But now we are seeing under- and postgraduate training in private hospitals to maintain adequate exposure to patients and procedures. So is it the case that students and trainees can treat, under supervision, private patients in private hospitals, but not in public hospitals? The (ab)use of state hospitals for privately funded patients is a farce for many reasons and needs to be reviewed, along with many aspects of our confusing, inconsistent and fraudulent system. The ability to treat poorer private patients has long been attraction of a public hospital appointments. Before Medibank/Medicare this was in fact most of the public remuneration of an honorary doctor. Post Medibank/Medicare salaries for public work were introduced but it is easy to see from Henry Woo’s example that it is likely the salary is not the major financial attraction to work in public. Melbourne hospitals such as the Royal Children’s Hospital and the Royal Victorian Eye and Ear Hospital have for many years quarantined elective private cases to exclusive private lists thereby removing the perverse incentive to surreptitiously advance the interest of the private patient, delay public work and dilute training opportunities. Now it seems Spring Street is forcing them to adopt mixed lists with unknown consequences for staffing,standards and finances. HBA is also in the game paying staff specialist far less for HBA patients than they pay VMOs at public and private hospitals. I received a private email comment stating “It always interests me how unethical practices soon become the norm when no-one speaks out” and this is essentially what drives me on this matter. Those working outside of NSW public hospitals may not appreciate the extent of this practice but for those of us who are there, it is as the Lenny song proclaims, “everybody knows, that’s how it goes”. The issue of abuse of self pay where Medicare patients are effectively scared into becoming self insured private patients in a public hospital does raise many other issues which have been correctly highlighted by those who have made comments so far. It reinforces that our handling of private and public patient care in public hospitals is abysmal. If we cannot trust ourselves on so many levels to appropriately manage private patients in a public hospital, the pragmatic way forward would be to treat ALL patients in the public hospital system as Medicare patients – now that would be cleaner, transparent and hopefully no ethical issues. This process in various guises operates in Queensland where there is the same perverse incentives in radiology, pathology, oncology, radiotherapy and outpatient services to get patients to become private so that the hospital and in many cases the treating doctor indirectly benefits. There are only two solutions to avoid this dishonest practice. Abolish the double dipping that is occurring in public hospitals or introduce a universal funding model that pays all doctors the same. I know which system I would prefer and that would be the former. How is it this illegal process can persist? A similar rort is the pretense that full time employment in the public system can tolerate large amounts of time being spent in the private sector. Why are these doctors not taking the correct course and becoming VMOs? Every patient treated this way denies the true poor or under served patients treatment, a bed or their surgery, but benefits doctor’s income and hospital budgets. It is interesting that governments of all persuasions turn a blind eye to this dubious behavior. Previously public hospitals in Qld have not benefited from private cases as the revenue generated went to central treasury as consolidated revenue and not to the hospital. In the past it has been very evident that widespread rorting of the system was happening (salaried specialists on the previous Option A doing óut-of-hours lists which went into their own pockets). The latest dodgy deal is the Surgery Connect program where the state pays huge fees to hospitals and medics (AMA rates) for work done by salaried doctors sometimes in public hospitals. Private patient in public hospital being operated on privately by salaried doctors at AMA rates. I don’t begrudge any of this – the only way to build a sustainable private practice is to build it up from the base – fast tracking and dodgy deals always come unstuck usually at short notice.